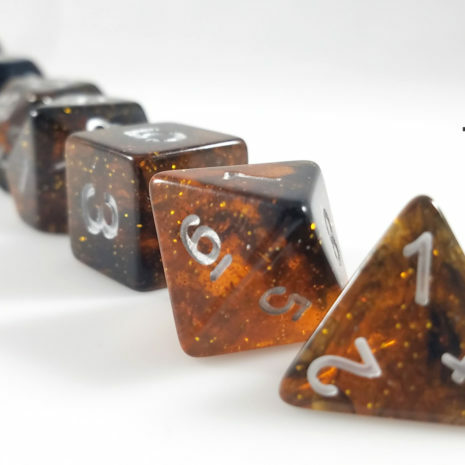 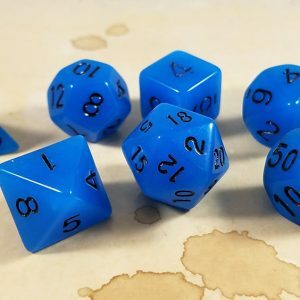 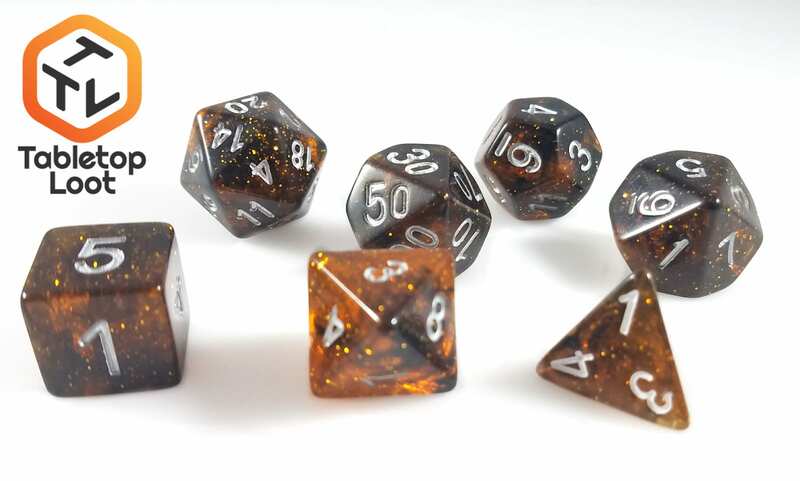 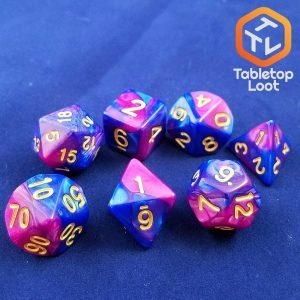 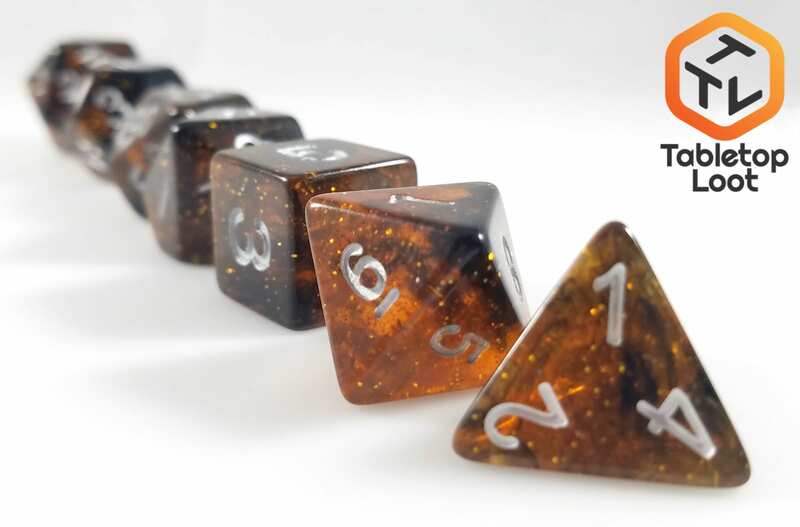 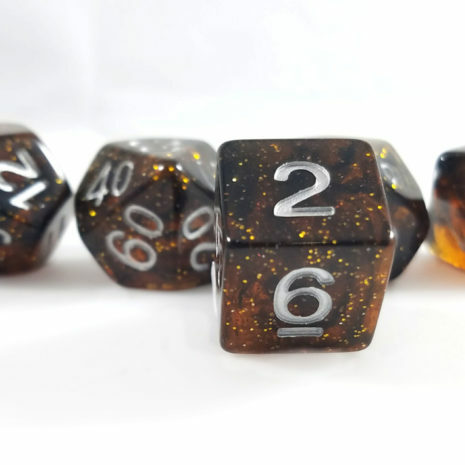 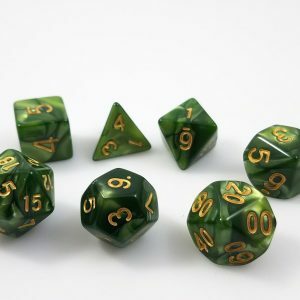 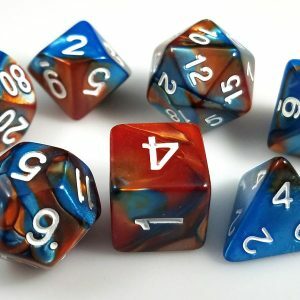 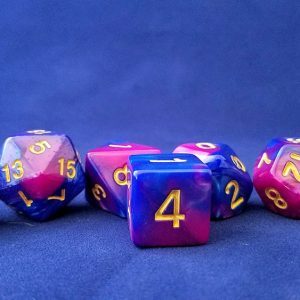 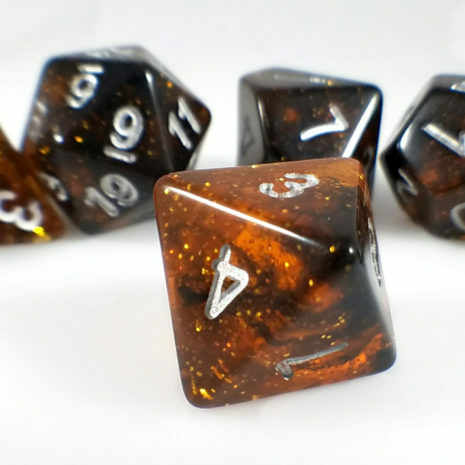 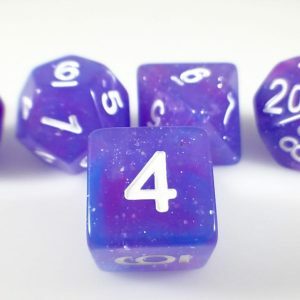 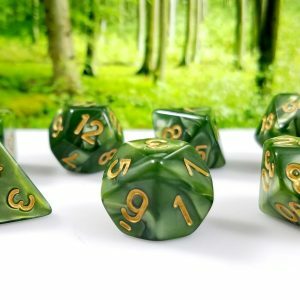 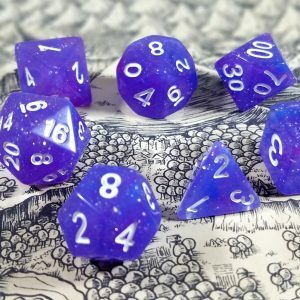 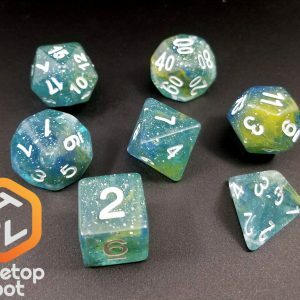 These dice bare a striking resemblance to the Double Helix Nebula. 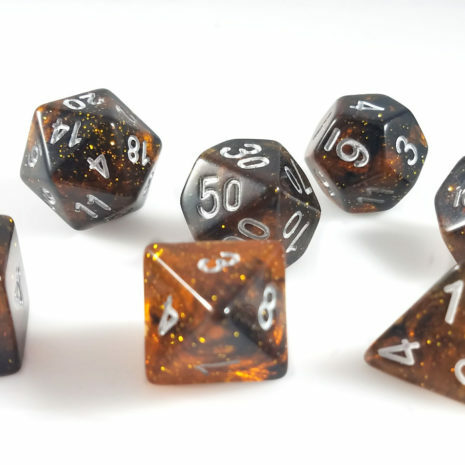 Semi-Translucent with Amber overtones, sparkles and white numbers. 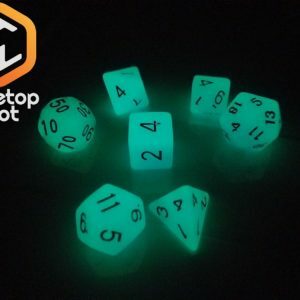 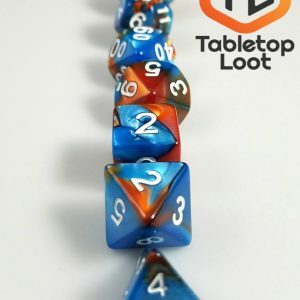 These dice do not show their orange color unless under or held up to bright light.